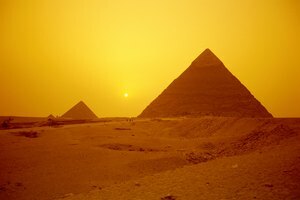 Pyramids were reserved for royal burials. 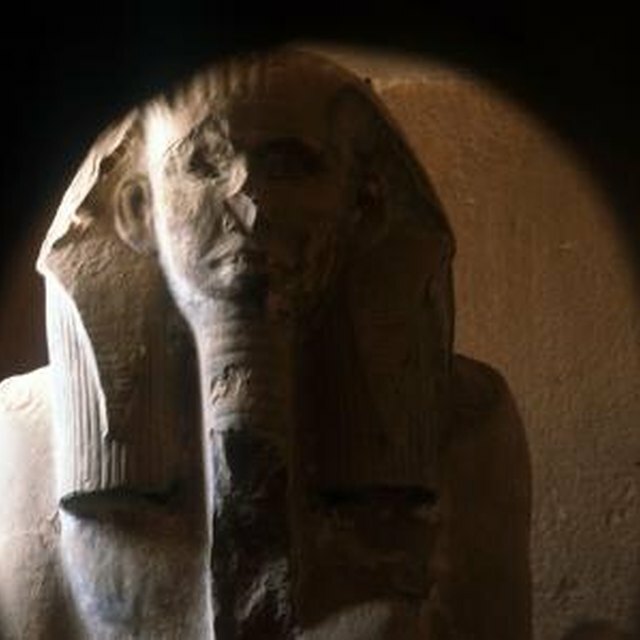 Ancient Egyptian burial customs were important to enable the deceased to enter the afterlife. The basic process was similar across all tiers of society, but how elaborately the steps were performed varied greatly, depending on the status and wealth of the family. 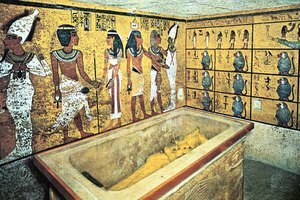 Commoner burials consisted of family members wrapping the body and burying it in the desert, while pharaohs had elaborate pyramid tombs and months-long burial rites performed by priests. Basic graves were shallow holes dug in the desert sand and covered with rock. Wealthier citizens had more substantial underground tombs made from stone or brick. 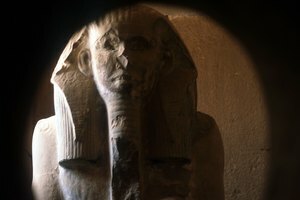 As time progressed, tombs were more and more elaborate with each pharaoh wanting to outdo the last, until the 4th dynasty when pyramids became the standard tomb for royalty. 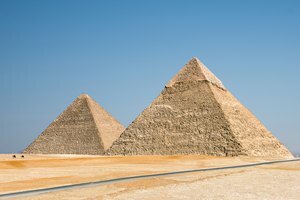 The years of planning and building involved in erecting a pyramid made the structures very impractical, so pyramids eventually lost favor. Instead, elaborate burial chambers were cut into the sides of rock mountains. There were several chambers inside the pyramid: burial chambers for the king and queen, and chambers for storing the many riches that were going with the deceased so they could be used in the afterlife. The walls of the pyramids were painted and decorated with scenes depicting the gods and activities, such as hunting, from the daily life of the pharaoh. Food, practical items, gold, even pets and servants were placed in the tomb with the pharaoh. Curses were painted on doors and passages to warn off grave robbers. 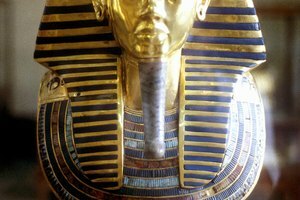 With the advent of the pyramids and above-ground burial chambers, bodies had to be prepared to prevent decay. Burial in the desert sands had naturally preserved the bodies. The organs were removed and stored in jars; later they were treated and returned to the body. The body was rubbed with salt to dry it out, then washed and stuffed with linen. The preserved body was then wrapped with strips of linen. Amulets and prayer cloths were placed in the layers of wrapping to protect the deceased. Once the body was prepared for burial, it was taken from the preparation rooms to the burial site. The procession could take several days. It was led by a priest who said prayers for the deceased. The family and paid mourners followed the body as it was moved to the tomb. At the tomb entrance, the "Opening of the Mouth" ceremony would be performed, with special instruments waved over the mouth, ears and eyes to open the senses for use in the afterlife. The mourners left offerings, and the deceased was placed in the tomb. Kokemuller, Jill. "The Pyramids and Burial Rituals of the Ancient Egyptians." 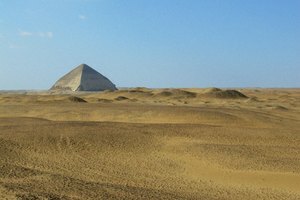 Synonym, https://classroom.synonym.com/the-pyramids-and-burial-rituals-of-the-ancient-egyptians-12085109.html. 29 September 2017.